Connarus roxburghii Hook. & Arn. Rourea afzelii R.Br. Ex Planch. Rourea bipindensis Gilg ex G.Schellenb. Rourea santaloides (Vahl) Wight & Arn. Santaloides splendidum (Gilg) G. Schellenb. ex Engl. 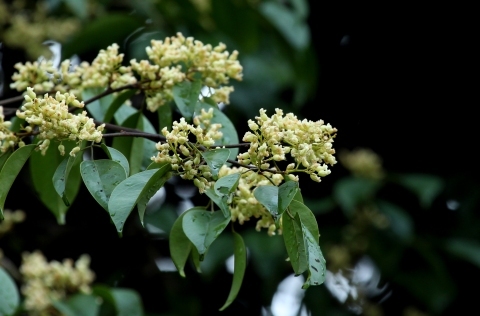 Although poisonous, the plant is sometimes harvested from the wild for local use in traditional medicine. The stems are also harvested and used as a tying material. E. Asia - southern China, India, Sri Lanka, Thailand, Cambodia, Laos, Vietnam, Malaysia, Philippines, northern Australia.